By Gordon Frickers 40 x 50 cm (16″ x 20″), Oils, available, ex studio ex frame. 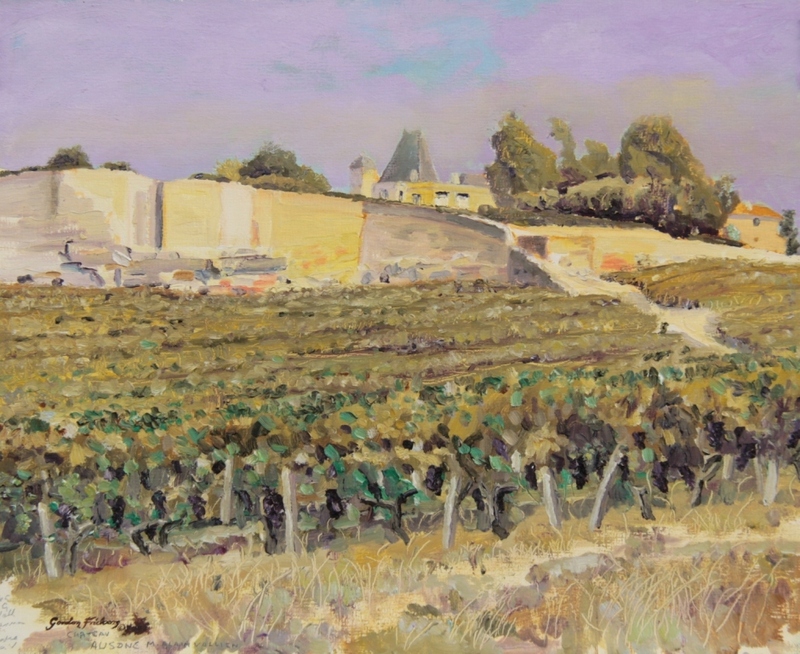 The awesome château Ausone, in this splendid tranquil scene you can not only see the lush grapes in the picture he has painted but you can feel the heat. This scene was painted on location from the roadside; you could stand on the very spot the artist worked from! Situated a few hundred meters South West of the town’s medieval walls, planted on the deep limestone bedrock that has been the raw source of the town, the estate occupies a prime site overlooking the Dordogne Valley and besides superb wines, it is particularly noted for its ancient chapelle.